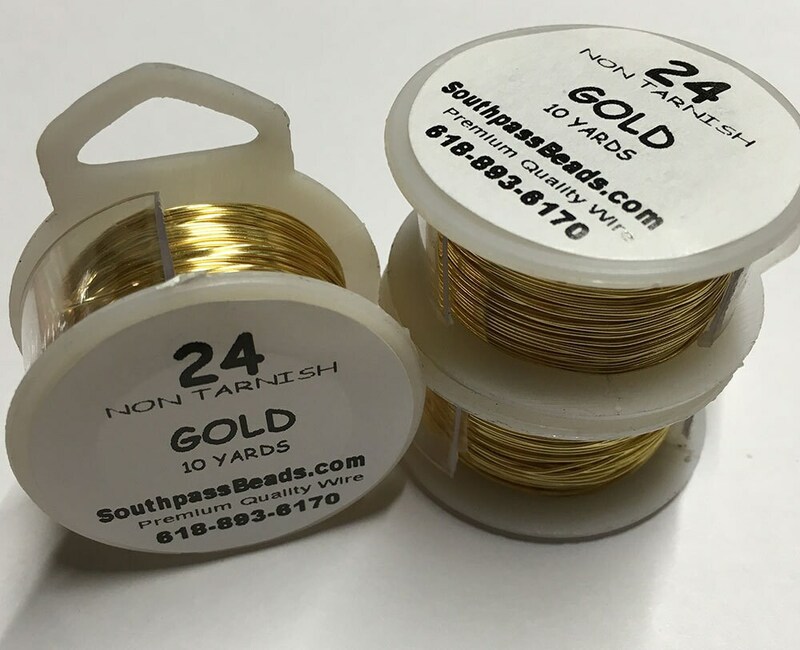 High quality Gold Plated copper non-tarnish wire, 24 gauge, 10 yards (30 feet). Made in USA. Professional quality craft wire for serious crafters! For all your jewelry, craft, beading, and other artistic projects! As a beginning jewelry designer I now swear by this wire. High quality and an amazing price for so much wire.